DiSilva Heating is a service and installation company specializing in many types of heating and air-conditioning systems. We have done many different radiant heat systems, including new homes, additions, condo complexes and replacing existing heat systems. Radiant heat can also be an addition to your existing system as I did in my own 200+ year old farmhouse to add heat in the kitchen. 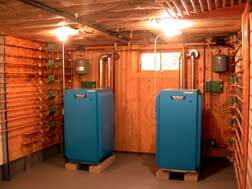 We also specialize in more conventional systems such as forced hot water, steam, hydro air or hot air systems. We at DiSilva Heating educate ourselves to stay ontop of the many advances in the heating field. DiSilva Heating is well known for dedication to prompt and depenable service. As AJ says, "there are no problems - only solutions." 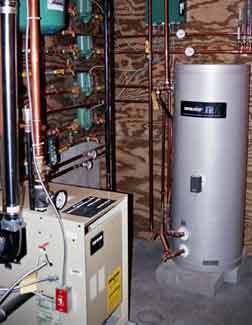 Our company uses only quality components and state of the art designs in our heating systems. 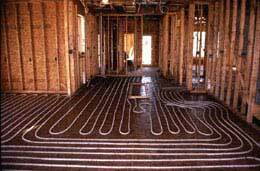 If you have interest in radiant heat systems. We believe that a radiant heat system is the best for comfort and efficiency. DiSilva Heating is also liscensed to install water treatment systems. We service what we sell 24 hours per day and 7 days a week.